I’m participating in the Broad Universe Full Moon Blog Tour this month. Broad Universe is an awesome group dedicated encouraging women and science fiction–two of my favorite things. LOL! Make sure you sign up for the giveaway below (winners to be announced November 10th). Some researchers think a fear of the dark and dread at the coming of the full moon are linked. They posit this fear goes back thousands of years to when our ancestors roamed with the lions on the savannas of Africa. Unlike most animals, humans never evolved to have good night vision. We’re fairly helpless with no moon to guide us. But we still enjoy the night life and are generally active until about 10:00 p.m. at night. So, on moonless nights or nights with little moonlight, humans with their poor eyesight were easy prey for animals like lions who can see much easier in the dark. As to why we dread the coming of the full moon? 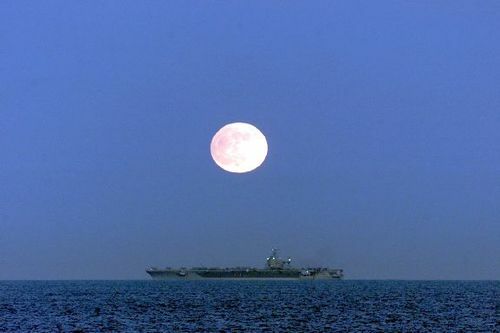 The full moon rises about an hour after sunset. Humans expecting to be able to see in the brightness of the full moon are still active during that hour despite the fact that it’s very dark. Humans are future-thinking animals. We anticipate moonlight to guide us even if it’s not there yet. Animal attacks during the full moon within that dark hour, between sunset and the full moon rise, are more numerous than at any other time of the month. Is it any wonder our ancestors came to dread the full moon? It appeared to them (and to us) as if all bad things came with that bright disc in the sky. And since they didn’t pass down the genes for good night vision, they passed down the instinctive fear of the full moon instead. It looks like a fear of the darkness, and the creatures that roam within it, is genetically coded into our DNA. Win a gift card and 25 awesome science fiction ebooks by clicking on the picture to the left! As someone with especially poor night vision, I sympathize. Here's to the nightlife, by moonlight. And moonlight is so romantic! It's all true. I swear!